This compelling saga about a beautiful Celtic princess who gives her heart to a Saxon prince explodes with the passions of love and war. When the Saxon army, in its bloody charge against the Celts, captures the child-princess Nimane, they bring her to Cynric, King of the West Saxons. Enchanted by her innocence and beauty, he makes Nimanc a favored prisoner. 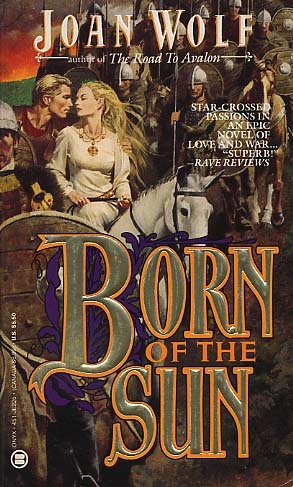 But she soon discovers that the King's court abounds with tempestuous intrigues and tormented rivalries. And when the adulterous and envious Queen arranges for a duel between the King's beloved illegitimate son and her own son, heir to the throne, intrigue turns to deadly peril. With this epic novel of the star-crossed passion that swept the Celts and Saxons to the brink of war--and two lovers to the edge of oblivion--Joan Wolf brilliantly brings alive a little-known but fascinating age.